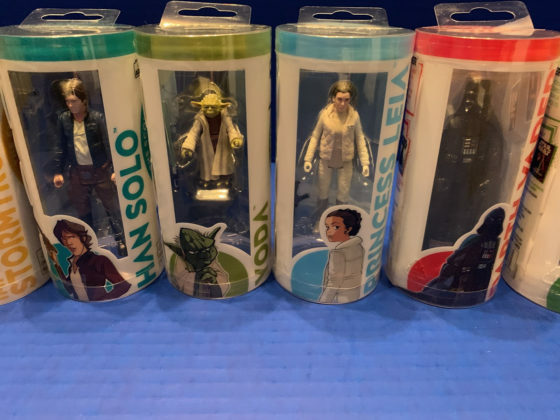 Hasbro is one of the finest toy companies in existence, so it makes sense that they have the license for some of Disney’s biggest brands. 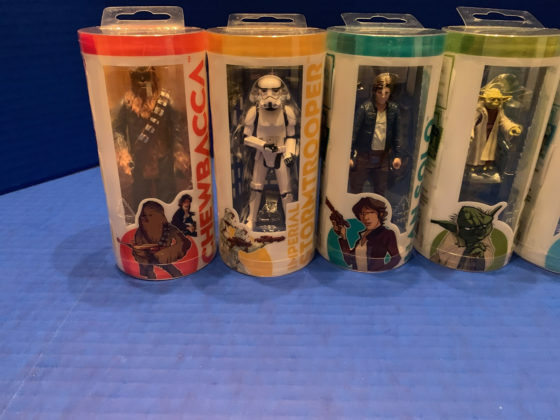 Their history with Star Wars, however, dates back to 1977 with the Kenner company, which was acquired by Hasbro before the prequel trilogy reinvigorated the toy market. 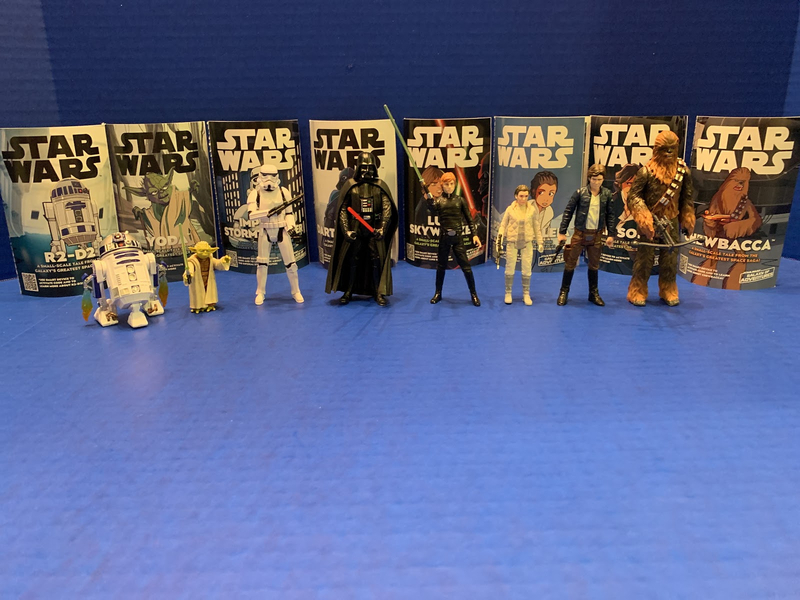 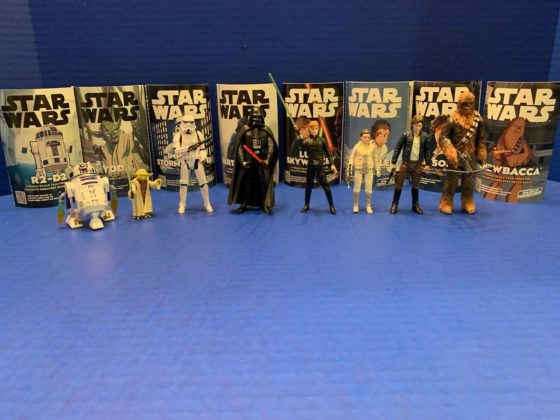 For many fans, their first exposure to anything Star Wars was through the Kenner action figures, a tradition that recently celebrated 40 years. 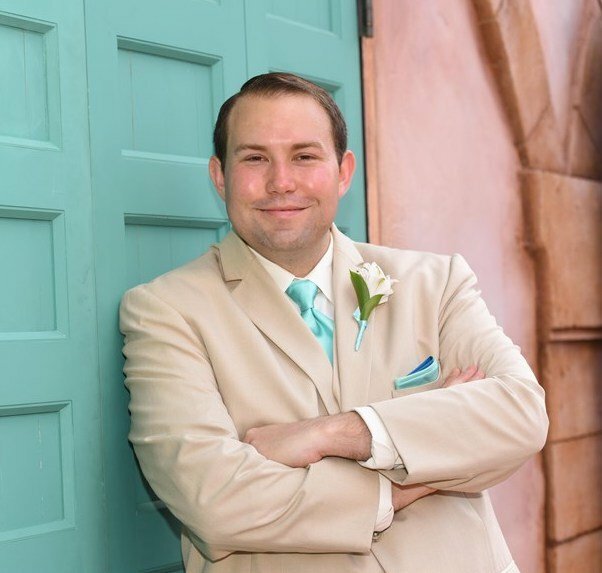 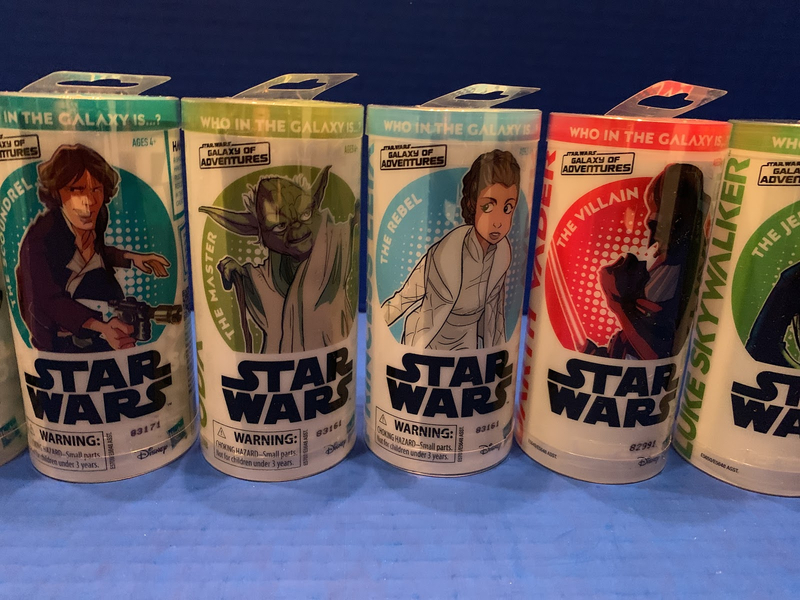 Aimed at a younger audience, Star Wars: Galaxy of Adventures is a campaign that lets kids tap into the Star Wars universe, even if they aren’t old enough for the films. 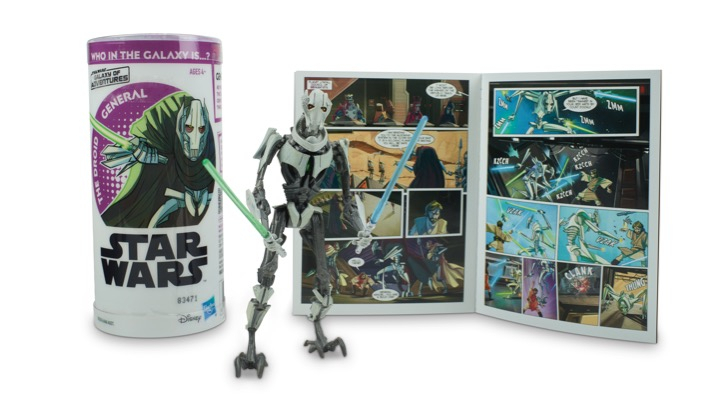 An animated short form web series recreates key moments in the saga in a kid-friendly way. 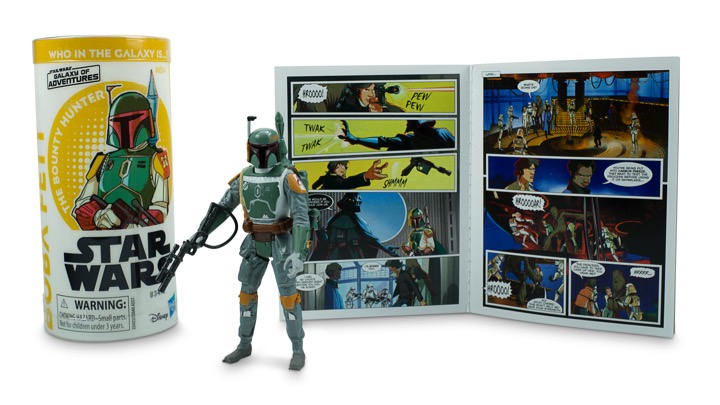 And now, Hasbro’s toy line pairs action figures with a mini-comic that showcase one of that star’s iconic moments. 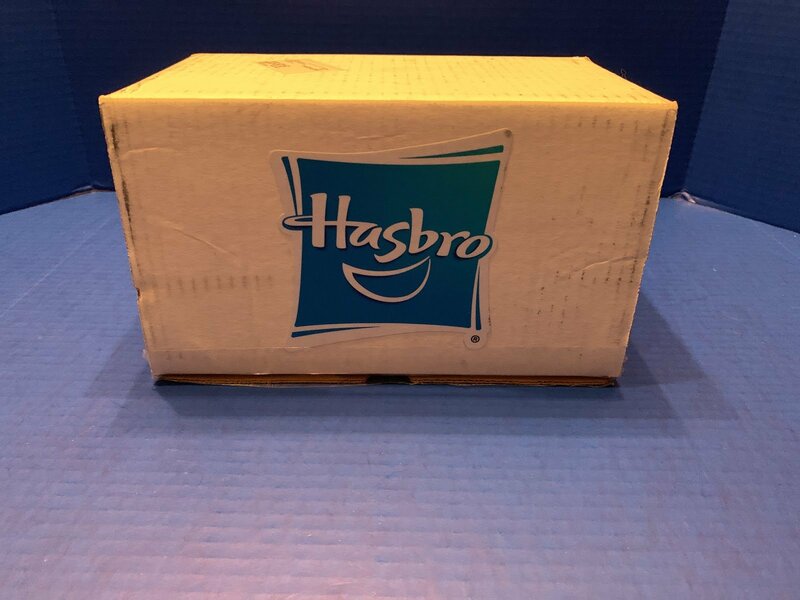 Hasbro was kind enough to send me the first two waves for review. Wave 1 includes Luke Skywalker, Darth Vader, Chewbacca, and R2-D2. Wave 2 recently debuted and added Han Solo, Princess Leia, Yoda, and an Imperial Stormtrooper. 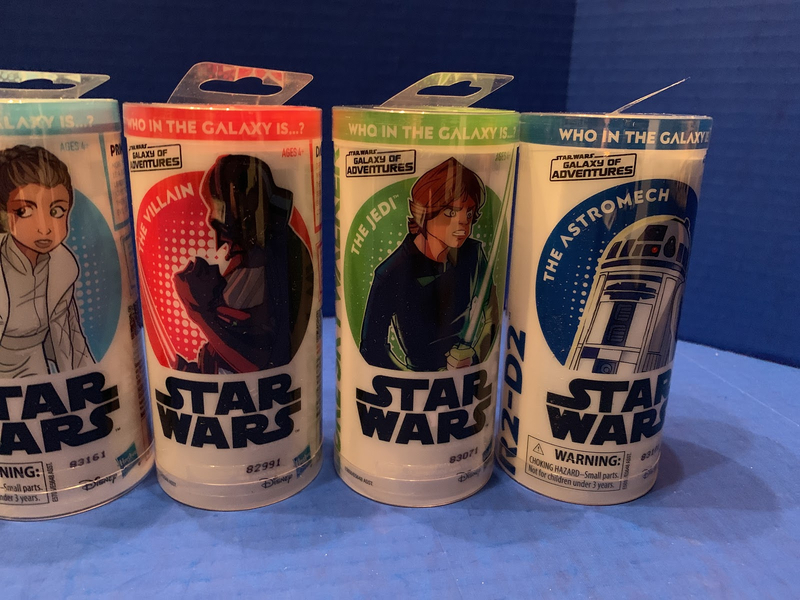 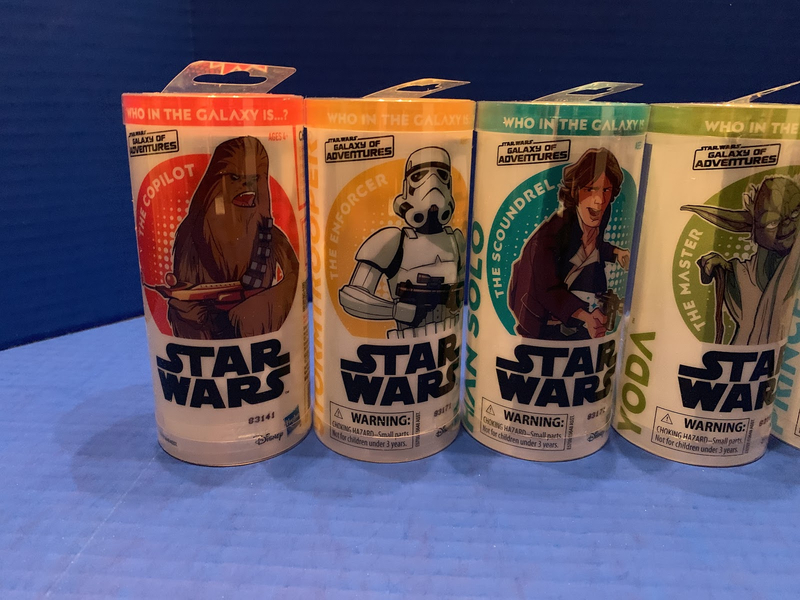 While the packaging is more sleek, modern, and kid-focused, the figures within are very reminiscent of the Star Wars action figures we all grew up with. The tubular design of the package is a fun way to present the figure, making each one feel special. 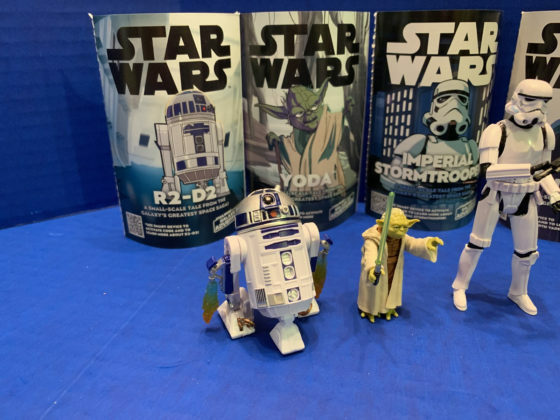 For the mini-comic, it allows it to be wrapped around the backside of the figure, avoiding the need to fold it or make it smaller. 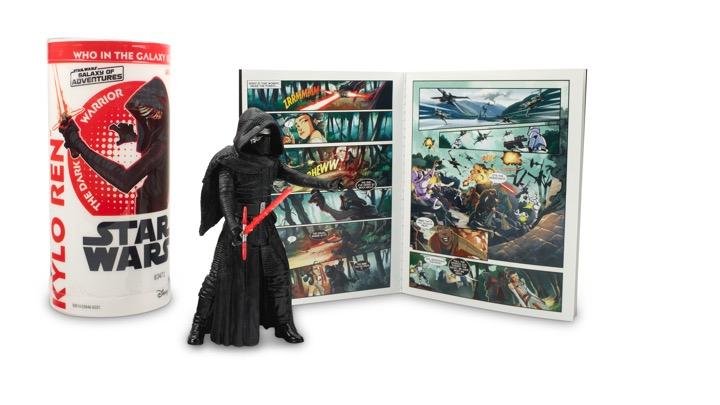 Sliding the figure out conveniently reveals the booklet, the backside of which creates a location from the saga. 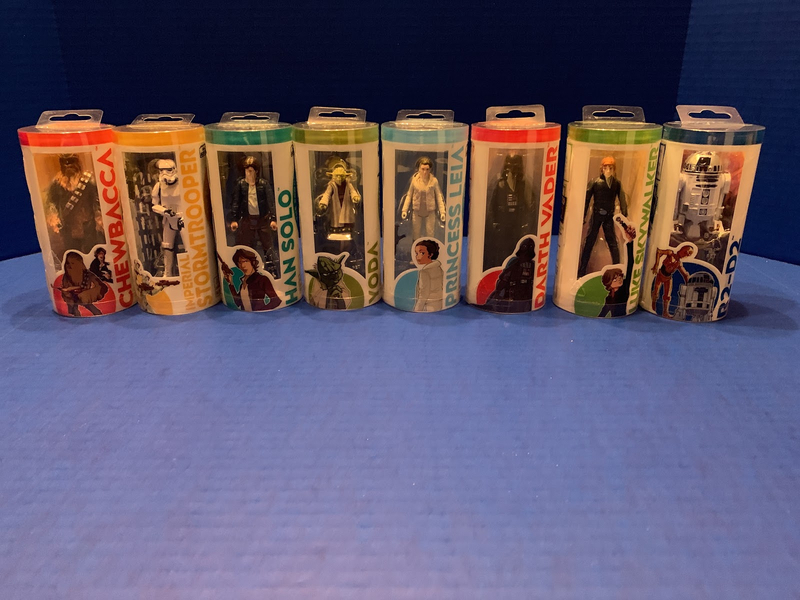 Each figure also has an accessory in the box that is hard to see until you open it up. 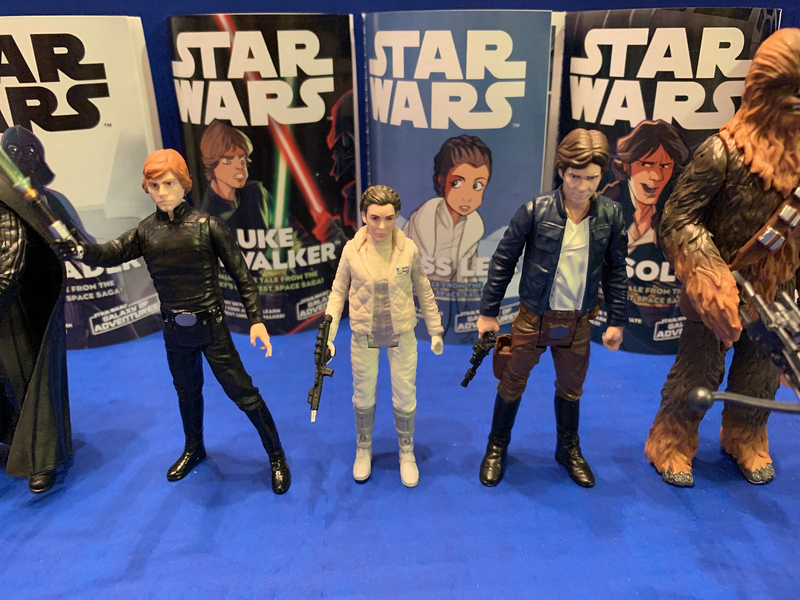 The details are very nice and each figure looks like their human counterpart. 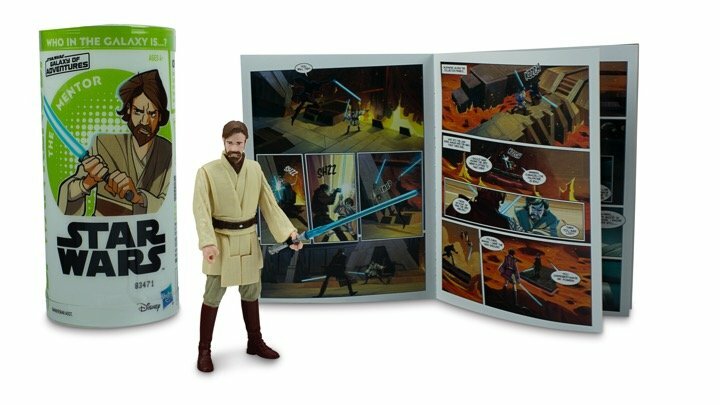 The details aren’t on the same level as the Black Series, nor would you expect it to be givin the lower price point and intended age. 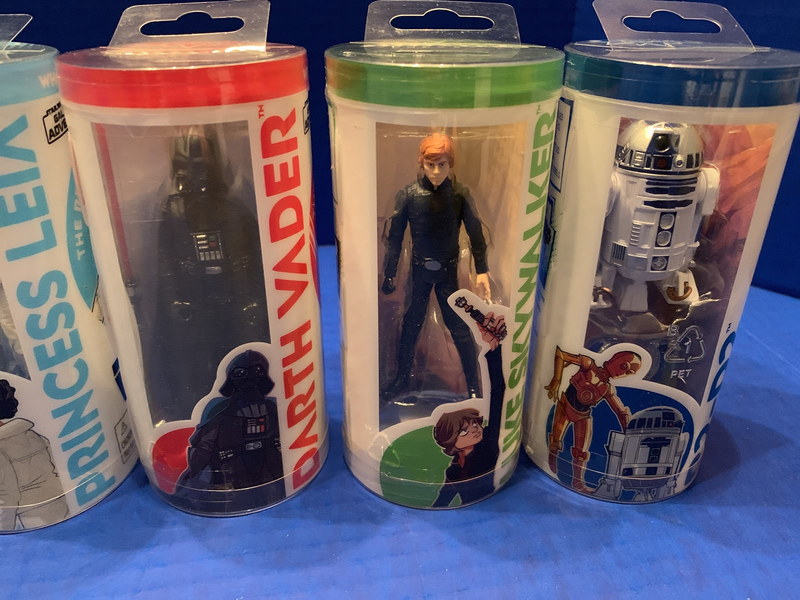 It’s refreshing to see them break with the traditional images of each character as well. 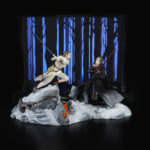 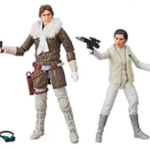 Luke’s figure is from The Return of the Jedi while Leia is in her Hoth gear from The Empire Strikes Back, even though both characters are often promoted most heavily in their looks from A New Hope. The door is open for future waves to include these same characters in other costumes and I’m sure kids won’t mind double-dipping. 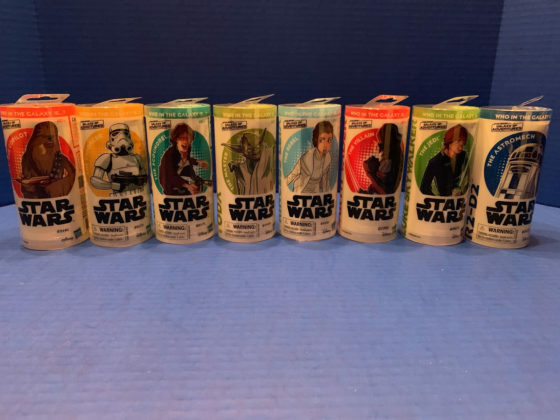 I know as a kid, I was always eager to collect every look available for the characters I loved. Lightsabers come with Luke, Yoda, and Darth Vader. 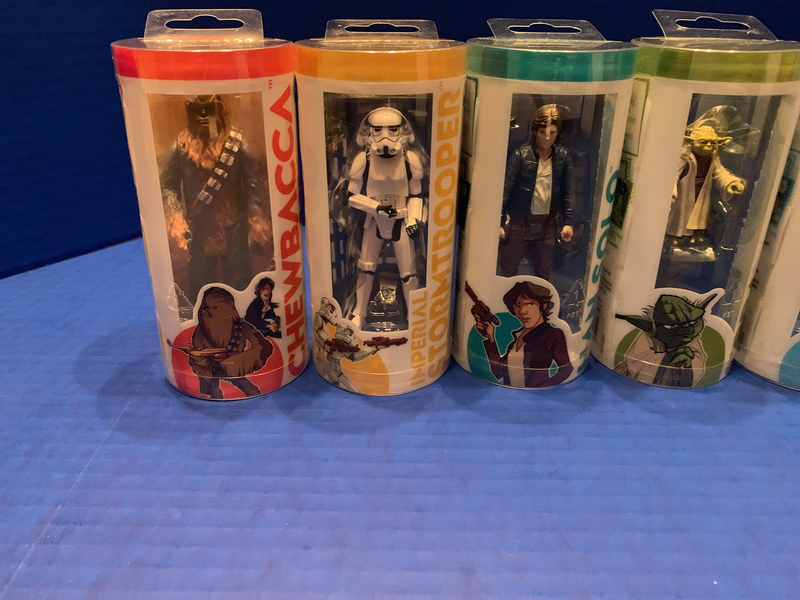 Blasters are included for Leia, Han Solo, and the Imperial Stormtrooper. Chewbacca comes with his bowcaster, but my favorite accessory comes with R2-D2, two clip-on flames that attach to his arms so you can pretend he is hovering. Each humanoid figure is poseable at the neck, shoulders, and hips, while R2-D2 is able to rotate his head and slide his arms forward and back, with wheels on the bottom of each foot. 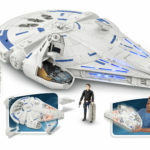 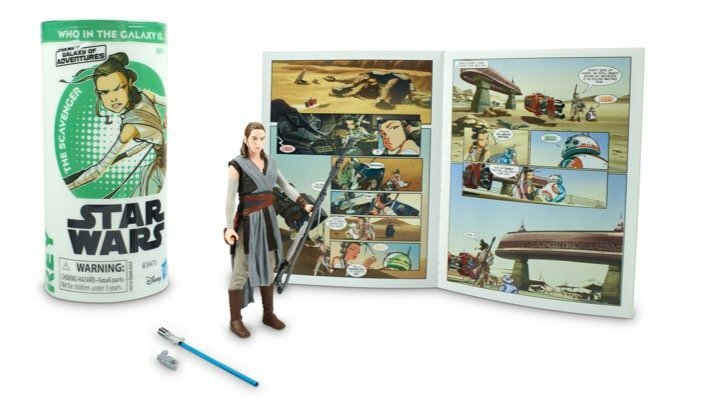 Hasbro’s Star Wars: Galaxy of Adventures is a great way to introduce kids 3 and up to the world of Star Wars. 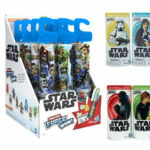 With a more kid-centric approach to packaging and artwork, it’s guaranteed to have wide appeal. 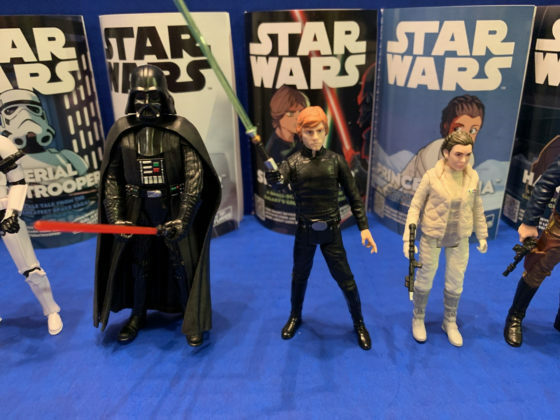 But parents may get misty eyed when they see the actual figures and are reminded of the fun they had at that same age with their original Kenner or Hasbro figures. 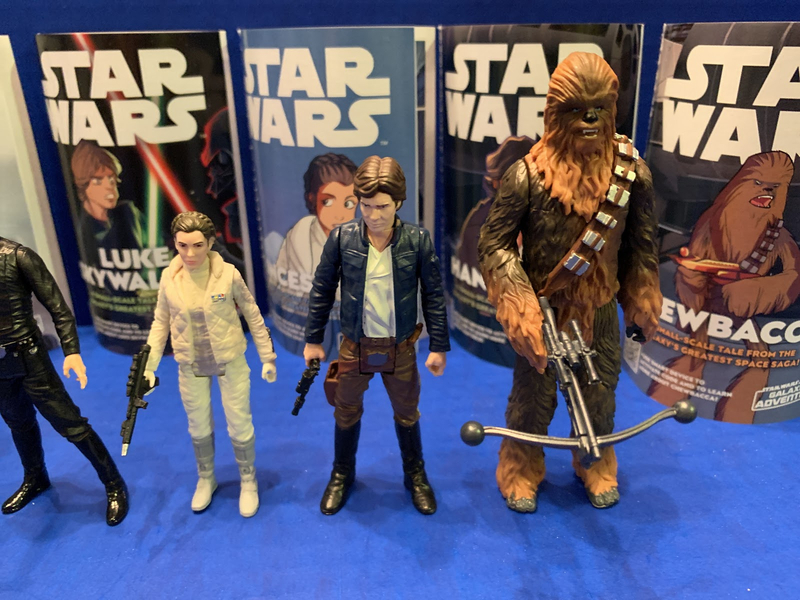 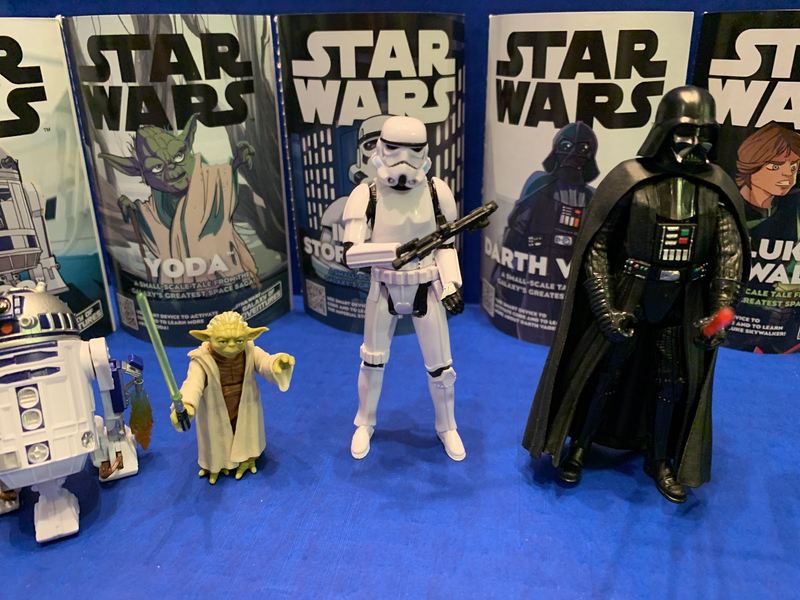 Stay tuned to Laughing Place for upcoming coverage from Toy Fair 2019, including a look at upcoming products from Hasbro! 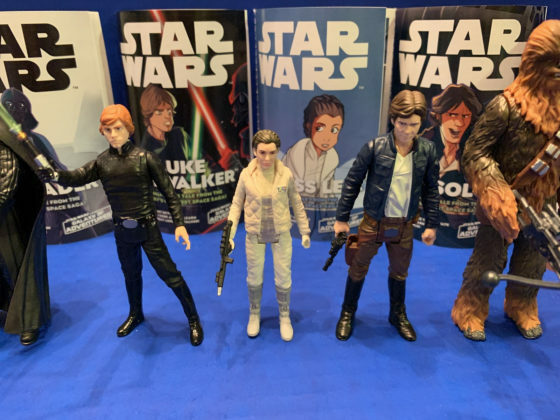 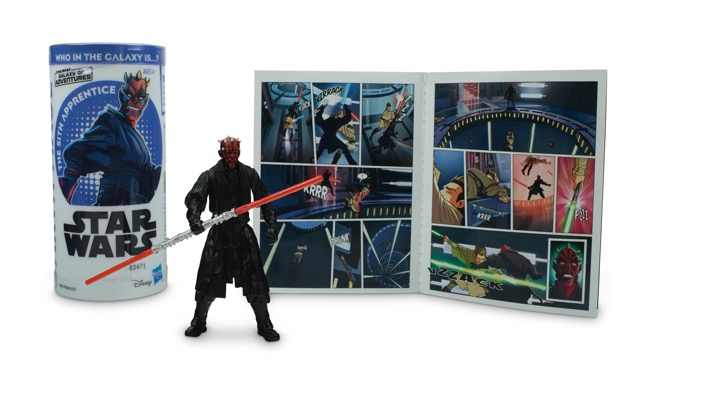 Update: Hasbro has announced the third wave, which includes Boba Fett, Rey, Kylo Ren, Darth Maul, General Grievous, and Obi-Wan Kenobi.